Striking 4 bedroom cottage in Rathmullan, Donegal is only 10 yards from the golden sands of Kinnegar Beach – one of the finest beaches in the North-West of Ireland. Coís Farraige Cottage, due to its close proximity to the beach, is decorated in the maritime theme throughout and has all modern conveniences. The holiday cottage retains the feel of the traditional Irish cottage with open fireplace and fantastic countryside views from the conservatory. The ground floor is open plan and features a fully fitted shaker style kitchen with integrated dining area and very comfortable living area with open fireplace and large conservatory. The patio area includes a barbeque and furniture for complete enjoyment of those long summer evenings. A double bedroom and bathroom (electric shower and bath) completes the ground floor accommodation. There are 3 further bedrooms upstairs: master bedroom with ensuite, double bedroom and twin bedroom The area around the house is a safe play area as there is no through traffic. Activities in the area include boat charter for pleasure and fishing trips at Rathmullan pier, pony trekking at the nearby Golden Sands Equestrian Centre, golf at Otway(5 min drive) and Portsalon(15 min drive), hill walking on the little country roads to the west of the village and for scenic driving there is the spectacular Fanad Coast Road. Letterkenny, County Donegal's main town, is 20 minutes by car and has a 5 screen cinema, public swimming pool, urban park, an Grianan Theatre and of course, a wide variety of shops. 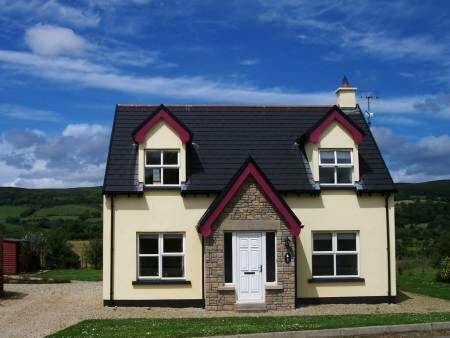 Cois Farraige Cottage is a short walk from Rathmullan House Hotel and Fort Royal Hotel and the local village with its traditional Irish music scene and quaint restaurants. Be the first one to tell us about your rental experience while staying at Cois Farraige Cottage. Let us know if the listing matched your expectations. You can share your comments about the location, property owner/manager and all the unique features that made your stay a memorable one.